Is topsoil a renewable resource or a nonrenewable resource, especially in dry or degraded landscapes? The answer to this question is important because we’re losing topsoil every day—lots of it. Geologically, topsoil is produced by the physical and chemical weathering of rock as plant roots widen cracks made by freezing and thawing action and carbonic acid in raindrops breaks down the pieces into sand, silt, and clay particles (as does the grinding work of glaciers). Just add organic matter—carbon—and voila, topsoil! However, it may take as long as a thousand years to build an inch of biologically active soil through this process, which makes topsoil a nonrenewable resource on human time scales. Nearly two billion tons of topsoil erode annually from American farms and ranches, primarily due to poor agricultural practices. Most of this soil washes into creeks and lakes and out to sea. Actually, two billion tons is a big improvement. Twenty-five years ago the amount of topsoil lost annually to erosion was 40 percent higher. The difference is the adoption of a suite of agricultural practices—including the use of cover crops, no-till farming, and regenerative grazing—that reduce the erosive power of rain and wind. The goal of these practices is the conservation of topsoil for the future. In other words, if soil is a nonrenewable resource, the best we can do is slow down its rate of loss. But what if topsoil was also a renewable resource? What if a farmer or rancher could create an inch of biologically active topsoil in a decade? According to conventional thinking, that can’t be done—not with chemical-based agriculture, anyway. Fortunately, unconventional thinkers have had other ideas. Take Charles Darwin. In his final book, published shortly before his death in 1882, the great scientist focused his research on the lowly earthworm and the role it played in the mystery of soil formation. By conducting a variety of experiments in his backyard over many years, Darwin discovered that topsoil can be expanded (deepened) in only a matter of years, largely as a result of the digestive work of earthworms. This was big news at the time. The idea that soil was biologically alive with critters transforming inert subsoil into rich topsoil by eating and pooping was rather revolutionary. Of course, Darwin had the advantage of living in England, where moist conditions can speed up biological processes. What about drier parts of the world? Sixty years later, the answer came from another unconventional thinker, on the far side of the world and the other end of the celebrity scale. Yeomans was a former Fuller Brush salesman in Australia who took a correspondence course in geology and became a mining engineer in charge of large earth-moving projects. In his new job, he carefully studied the way water moved across the land, especially gravity flow. A restless experimenter, Yeomans decided after World War II to trade mining for agriculture and purchased a farm in New South Wales, where he began to test his unconventional ideas of water and land management, including the “keypoint” concept. A keypoint is the precise spot in a small valley or drainage where water slows down enough to be directed underground via a narrow “Keyline” ditch dug on the point’s contour line. His objective was to get as much water into the soil as possible, thus recharging the plant life, especially if the soil was degraded or compacted. Yeomans pioneered two paths toward his goal. The first involved a tool. On a visit to Texas, he watched a chisel plow in action and realized that with modifications this plow was ideal for “ripping” keyline contours across farms and ranches. A chisel plow cuts a narrow, deep furrow (8 to 12 inches) without turning over the dirt and is used primarily to loosen rocky or compacted soils. Yeomans recognized its potential for encouraging water and oxygen infiltration in the soil—keys to “revving up” biological life underground. Healthy soil is chock full of microorganisms (trillions of them) and like all forms of life they need water, oxygen, and food (carbon) to thrive. But if soil becomes compacted, all life underground suffers. 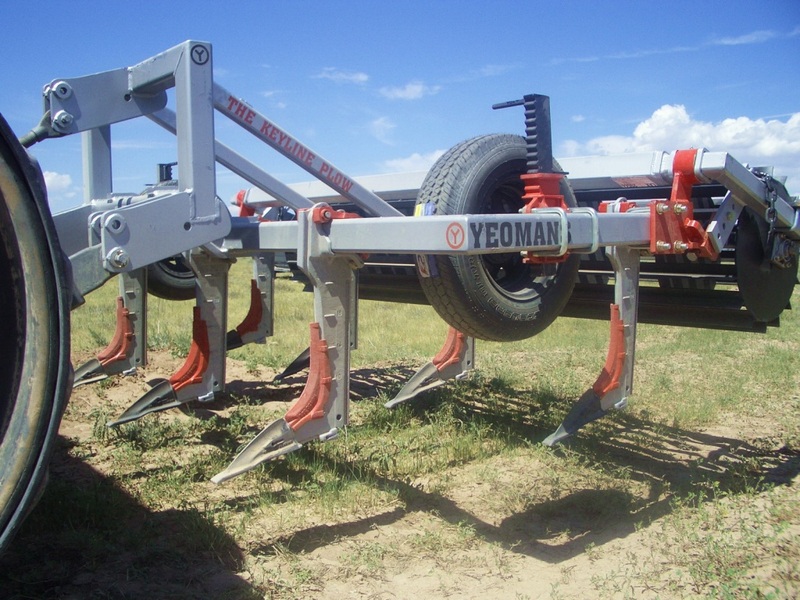 To alleviate these conditions, Yeomans designed, tested, and patented what is today known as a Yeomans Plow for exactly this purpose. His second innovation was conceptual, what scientists today call “resilience thinking”—how to bounce back ecologically or economically from a surprise or shock. Yeomans developed a whole-systems approach to his farm, insisting that close attention be paid to all parts of the land under management, including proper grazing by livestock. Goal setting, design, testing, and retesting needed to be incorporated into every farming enterprise, he said, and appropriate scales needed to be respected. The primary ecological objective of all this planning was to increase the regenerative capacity of the land, and to do that people needed be treated as an integral part of any management system. Although Yeomans probably didn’t use the word resilience to describe his goals, it certainly describes his intentions. These concepts, by the way, are the foundations of the nature-based design process called permaculture, developed by fellow Australians Dave Holmgren and Bill Mollison in the 1970s. So, do Yeoman’s innovations actually build topsoil? 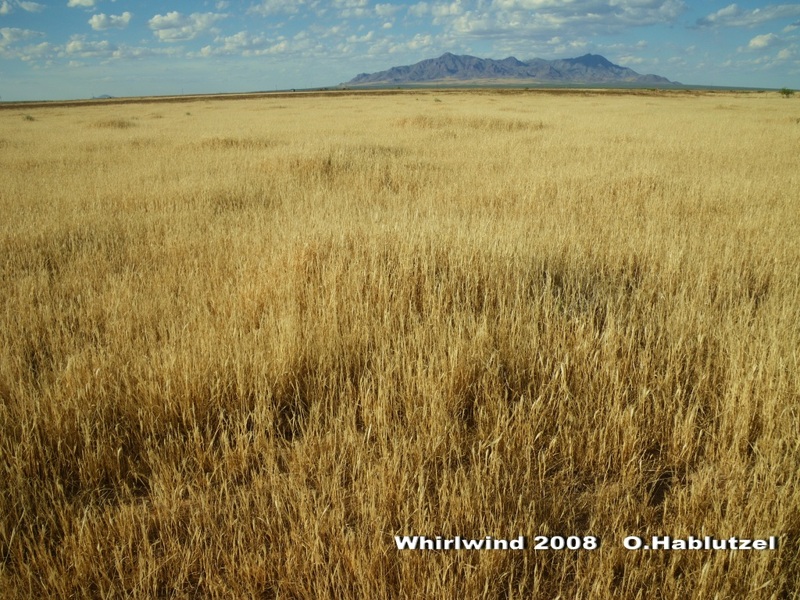 Yes, says Owen Hablutzel, an expert in whole-systems farming and ranching. The Yeomans Plow is a good tool for fixing a damaged water cycle, Hablutzel told me, by preparing compacted soil for rain. One or two 8-inch-deep rips by the plow below the labile (top) layer of soil jumps up the level of biological activity. The chances are good, he said, that the plow can increase soil carbon as a result. A Yeomans Plow “rips” a 10-inch-deep furrow in compacted soil, allowing water to feed soil microbes, thus building topsoil. 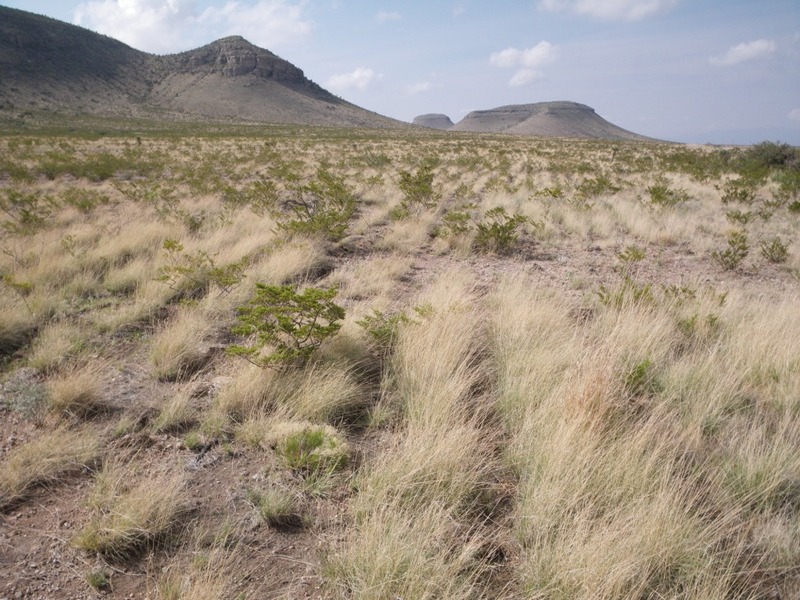 The Keyline strategy works well in dry country too—perhaps especially in arid lands. That’s because every drop of water is precious, particularly in a drought, and any method that can get more of the wet stuff to the roots of plants, the better. Despite these successes, however, Yeomans’s ideas remain unconventional for many in agriculture. Partly it’s an image problem (he wasn’t considered a “real” farmer by his peers) and partly it’s a lack of scientific scrutiny to back up claims at this point, a situation that will hopefully change in the near future. Nevertheless, in this era of rising environmental and social stress, we need more unconventional thinking—and quickly! The poet T. S. Eliot once observed that at the end of our exploring we will “arrive where we started and know the place for the first time”—which is an apt description of this moment in history. More than a century and a half ago, most conservationists were hunters, and the conservation movement began its good work out of a concern for wildlife and the threats birds and other animals faced from human activity. The response in the beginning largely centered on isolated refuges and other types of protected landscapes. Over the ensuing decades, as various conservation strategies and philosophies rose and fell, the movement never lost its focus on wild animals, especially ones in danger of extinction. What did change over the years, however, was the way wildlife habitat has been managed, especially on private land. A leave-nature-alone, hands-off approach is being replaced by nature-knows-best, hands-on practices, to great effect. The conservation desire is the same, but what we can accomplish on the land is very different. The Gill family, owners of the Circle Ranch, located near Van Horn, Texas, are a good example. “We cannot restore biodiversity by destroying biodiversity” is how Christopher Gill sums up an important lesson learned from his family’s efforts to restore wildlife habitat and manage the delicate ecosystem on the Circle, a 32,000-acre slice of high desert in the Sierra Diablo range of west Texas. In an all-too-familiar story, the Circle endured more than a century of hard use, especially year-round grazing by livestock, which had depleted the ranch’s vegetative vigor, encouraged brush encroachment, provoked widespread erosion, and generally made a mess of wildlife habitat, decreasing biodiversity. When the Gills purchased the ranch in the 1990s, they decided to try to reverse these trends. Like many landowners in Texas, they focused their energy and resources on improving the prospects for game animals. They knew that each goal was interdependent with the others, especially in a state like Texas, which is 98 percent privately owned and relies heavily on market-based incentives such as hunting to encourage conservation work. Unlike other ranches, however, the methods the Gills are using to accomplish these goals are not at all typical. They employ three primary strategies—planned grazing, Keyline contour plowing, and gully repair and water harvesting—all of which increase life generally on the ranch, in contrast to business-as-usual practices that reduce life, such as overgrazing, trapping, spraying, and poisoning. Life begets life, Gill will tell you, and if you want more wildlife, it’s best to start at the level of soil, grass, and water. As with most “wildlifers,” as Gill put it, the family had originally decided not to run cattle on the ranch, believing that livestock and wildlife competed for resources. However, after implementing a planned cattle-grazing program, not only did Gill see a positive ecological result in the form of increased plant vigor and biodiversity, he also saw the advantage of thinking holistically—to see systems as integrated wholes, not as a bunch of specialized or disconnected parts. Wildlife and cattle are linked together by the water, mineral, carbon, and sunlight cycles that make land healthy for both. Habitat can be improved when cattle are used as proxies for wild grazers, mimicking their concentrated numbers, constant movement, and long periods of absence. For Gill, planned grazing is about getting animals to the right place at the right time for the right reason and with the right behavior. “My conclusion is that cattle offer us a tool that cannot be replicated by machines, chemicals, or fire in terms of the treatment’s physiological outcomes,” Gill said. It was profitable too. According to Gill, the Circle Ranch netted $50,000 from its cattle operation in 2013. Any combination of machines, poisons, chemicals, and fire to treat the 20,000 acres that were grazed would have cost at least $30 an acre. So, instead of spending $600,000, the Gill family made $50,000 and also netted an ecological outcome that could not have been created by the more technological practices. Add hunting fees into the economic mix and you have a recipe for a profitable enterprise. Another practice getting great results at the Circle is Keyline contour plowing, particularly in areas where the tool of animal impact has not worked as quickly as hoped. Using a Yeomans plow to slice deep, narrow furrows placed on contour by laser transit allows water to gently infiltrate the soil with minimal damage to plants and minimal subsoil disturbance. This encourages plants to reestablish themselves and grow abundantly, and the concurrent root expansion converts subsoil to topsoil. Next up were gully repair and water harvesting. Implementing methods pioneered by restoration specialist Bill Zeedyk, who encourages landowners to “think like a creek,” the Gills have built a variety of structures across the Circle that redirect water flow, slow down flood events, and “re-wet” sweet spots that had dried up due to falling water tables. They have also redesigned ranch roads in order to harvest water falling upslope, redistributing it downslope to grow more grass rather than have it trapped in roadside ditches and shunted away. Of course, it has to rain. As Gill noted, it would be unrealistic to expect planned grazing, Keyline plowing, gully repair, or any other range practice to work in the absence of rain. However, since it will rain sooner or later, the challenge is to make sure that the water cycle is as effective as possible. For example, if ten inches of rain falls on a plot of land and eight inches runs off due to degraded or bare soils, the effective rainfall is two inches. On the other hand, if only six inches of rain falls in a drought year and 80 percent of it is soaked up by healthy land, the effective rainfall is doubled to four inches. That’s a huge difference in dry country like west Texas. 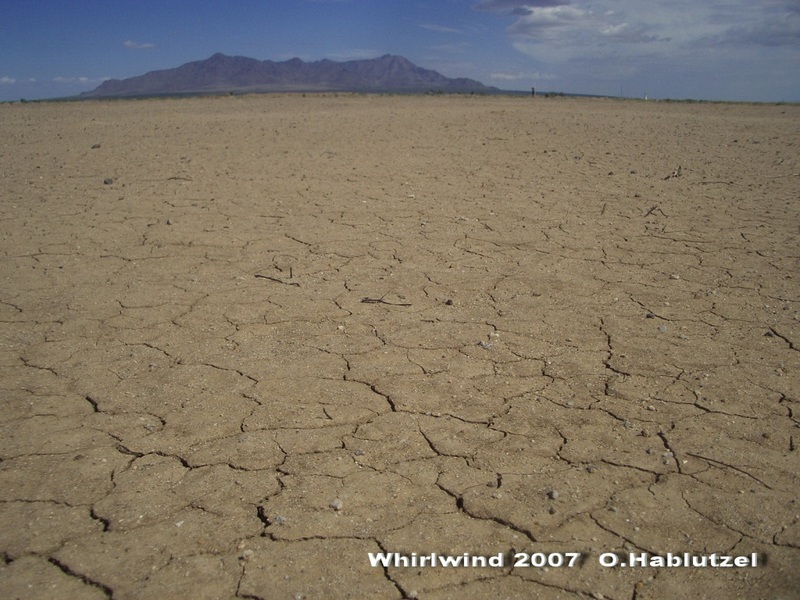 Gill calls a less effective water cycle brought on by poor land management a “human-caused drought.” When combined with a natural drought, the result can be devastating to all life. In contrast, he also calls the practices employed on the Circle “drought busters.” More effective water means more grass, which means more wildlife, which means more biodiversity in general. However, don’t expect miracles, Gill warned, and don’t be in a hurry.If a landowner is willing to be patient, he says, persistence will be rewarded, as it has been for the Gill family. The Circle, once broken, is nearly whole again. Which brings us back to the place where we started.